Variegated Pennywort (Hydrocotyle sibthorpiodes) – Green, white and yellow create a wonderful array of color for the ground. Leaves root as they go to create an endless carpet of color, and it’s small white and green flowers come and go quickly. 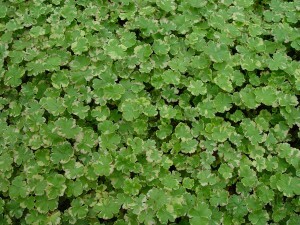 Variegated Pennywort is excellent around ponds, stepping stones, or any damp area in need of a face lift. 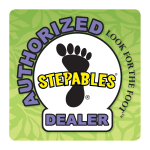 Also works well draping over rock walls, covering moist slopes and hanging over container edges. How To Grow: Plant in full shade to morning sun. 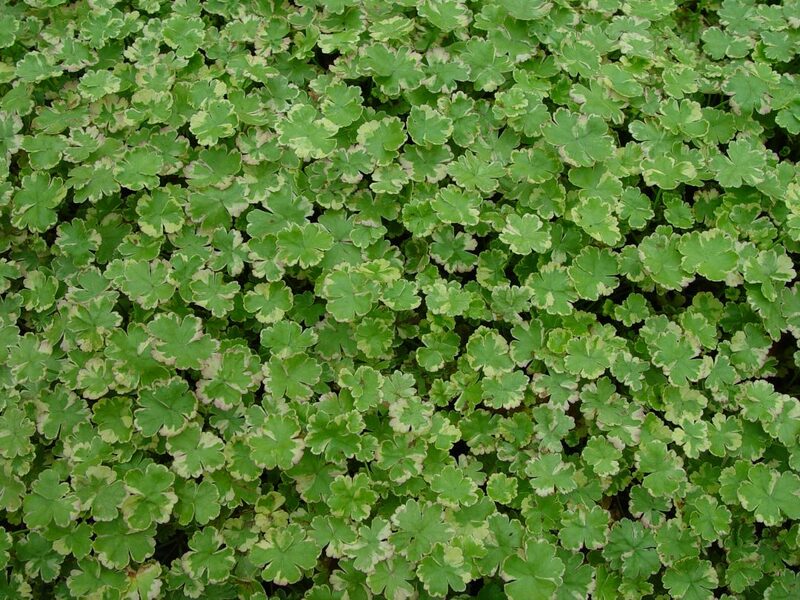 Tips: Variegated Pennywort is great for moist areas around ponds and water features. Tolerant of humidity.